No gaming computer is complete without a quality hard drive. However, there are plenty of choices available so how do you know which one is the best value and highest quality? This guide will break down the pros and cons of the available hard drives on the market and help you make an informed decision on your hard drive purchase. Lets begin by discussing the several types of hard drives. Most gaming computer hard drives use the internal hard drives. This style has been around for quite some time. Basically, you insert the drive into an empty slot inside the case and connect the power and data cables and you are set. Hard drives are priced according to their storage capacity, with the higher capacity asking for the larger price. You need to decide what size is appropriate for your gaming needs. With the latest game sizes in the range of 10-15 GB, I recommend a hard drive of at least 500 GB. Taking a glance at online retailers like www.TigerDirect.com, show a retail price of around $50-70 for a 500 GB internal hard drive. Another important consideration when shopping for a hard drive is the SATA revision the drive supports. SATA technology was introduced about 8 years ago and has continued to grow in popularity ever since. Essentially an upgrade from the older IDE style, SATA improves hard drives data transfer speeds and introduces a hot swappable feature enabling you to unplug the drive at any time. SATA technology has undergone several enhancements with each one increasing the data transfer speed. The latest revision, SATA 3.0 (sometimes written as SATA III) has a 6.0 Gbits/s transfer speed. When shopping for a hard drive be sure to look for a drive that supports SATA 3.0. With the hot swappable feature introduced with SATA technology, many hard drives are the external type, allowing you to plug them into a USB or Firewire (IEEE 1394b) port. This has numerous advantages including being able to take all of your important data with you and being able to remove the device while the computer is on. External hard drives don't need separate power cables because the power is supplied to them from the USB or Firewire port, making it that much easier to transfer data to the drive. 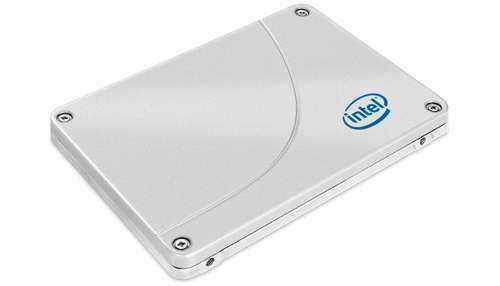 External drives cost slightly more than their internal counterparts but not by much. However, I don't recommend using an external hard drive solely for gaming purposes, it is much better to have a primary drive dedicated for your gaming needs and use an external drive to transfer data or back your data up. The big players in the hard drive business are Western Digital, Seagate, and Hitachi. All three make quality products and have been backed by years of industry experience. Lets take a look at the top drive made by each manufacturer. Western Digital features great hard drives at very good prices. Their flagship internal drive, the Western Digital WD1002FAEX 1TB Caviar Black Hard Drive , has some great features. With 1 TB of storage space and a 7200 revolution per minute (RPM) speed, this drive can store all your favorite games and songs all the while accessing the information very quickly. With a cache size of 64 MB, the drive has plenty of room to store frequently accessed programs. It supports SATA revision 3.0 meaning blazing fast data transfer speeds of 6 Gbits/second. With a price of $89.99, this drive has great features and a great price. Lets take a look at Seagate's top drive, the Seagate ST31000524AS Barracuda Hard Drive. Another great drive with plenty of storage space, the Barracuda checks in at $59.99, which is a hard to beat price for all the included features. The 1 TB storage space will serve you well and with a 32 MB cache size, you will have fast access to all your important data. With SATA 3.0 support, you'll get the fast data transfer speed you need for all your gaming needs. With the cheaper price, comes a cache size half of that of the Caviar Black. Lets look at the last entry, the Hitachi 0F12117 Deskstar 5K3000 HDS5C3020ALA632 Hard Drive. With a storage size of 2 TB, you are getting extra storage space compared to the other two drives. With a 64 MB cache size and SATA 3.0 support, the drive has the latest features available. Retailing at $69.99, the drive is competitively priced as well. 1. Weighing all the features and pricetag, my choice is the Hitachi Deskstar. A gaming computer requires a large cache size and plenty of room to store games and Hitachi Deskstar delivers. The 1.5 TB beast of a drive will handle everything you can throw at it with ease. Its an excellent choice for a gaming computer and you won't be disappointed. 2. Coming in second is the Western Digital Caviar Black drive. Also having a great price and features, this drive delivers the goods where it counts. I have used Western Digital drives for many years and have never been disappointed. They continue to make a great product and the Cavier Black only adds to their excellent reputation. 3. The Seagate Barracuda takes third place in our review. Featuring the best price of the three drives reviewed, the ultimate deciding factor was the smaller cache size than that of Hitachi and Western Digital drives. A computer built for gaming purposes requires a fast hard drive with a large cache size and Seagate comes up just short in this area. Several companies produce excellent hard drives for a gaming computer. However, personal considerations dictate the type of features you want in a hard drive. Storage capacity, external or internal drive and cache size are all important factors for determining the right hard drive for your computer. Know what factors are most important to you as you begin shopping.